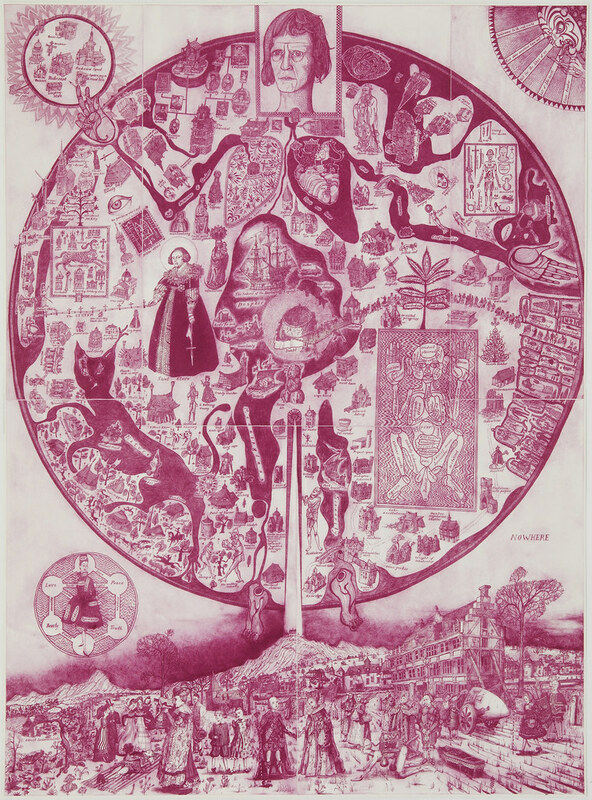 Grayson Perry. Map of Nowhere, 2008. Purple color etching from five plates, ed. 10/15. It combines a diagram of the artist’s body with the medieval Hereford Mappa Mundi . The composition is riddle with allegorical references to the artist’s own identities and witty allusions to current social, political, and economic themes. It is a visual encyclopedia of a complex world. I love this! Remindes me a bit of Uwe Bremer.